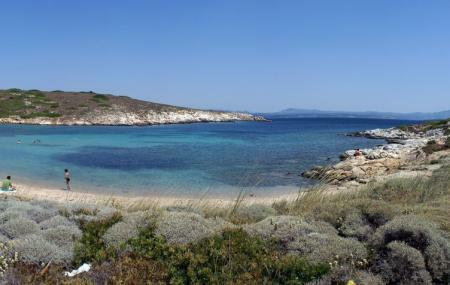 The Akvaryum Koyu is a beautiful beach around the Bozcaada Island. It is a popular tourist attraction and receives many visitors during the year. It is a clean and well-maintained beach, and serves as a lovely picnic spot. The surrounding view of the place is extremely eye pleasing. The view of the dawn and dusk from here is a sight to behold, and cherish for the lifetime. The clear waters of the sea reflecting the blue of the sky is where you can have a good swim. It is also an ideal place for snorkeling. How popular is Akvaryum Koyu? People normally club together Bozcaada and Temple Of Athena while planning their visit to Akvaryum Koyu.